Good news for the scientific community. Australia’s test flight by Airbus A319 landed on the purpose-built Wilkins Runway, around 70kms from Casey station, late on December 09 and returned to Hobart,Tasmania early on December 10. 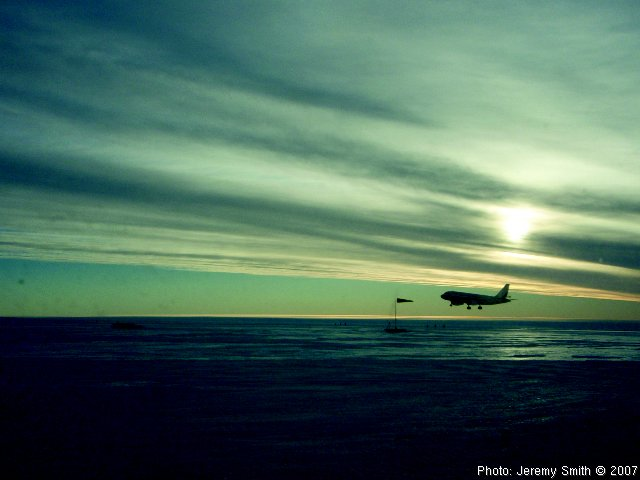 So far only military aircrafts used to land in icy Antarctica. It is a step towards establishing a permanent air link which will enable Australian scientists to reach Antarctica in four hours, which otherwise takes more than ten days by sea. It is a significant progress and a great achievement for the Australia’s Antarctic Program. The flight to Wilkins carried only operations personnel and was one of a series of successful ‘proving’ flights before final approval from authorities to allow passengers on board. 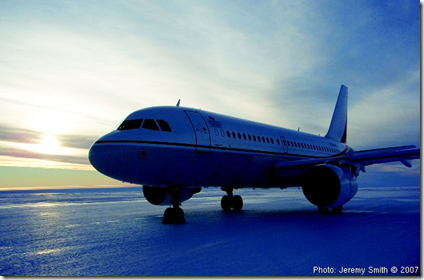 Regular operational flights to Antarctica will begin once regulatory approvals are completed over the next week or so. The purpose-built glacial runway at Wilkins. A319, Snow Petrel, on the runway at Wilkins. 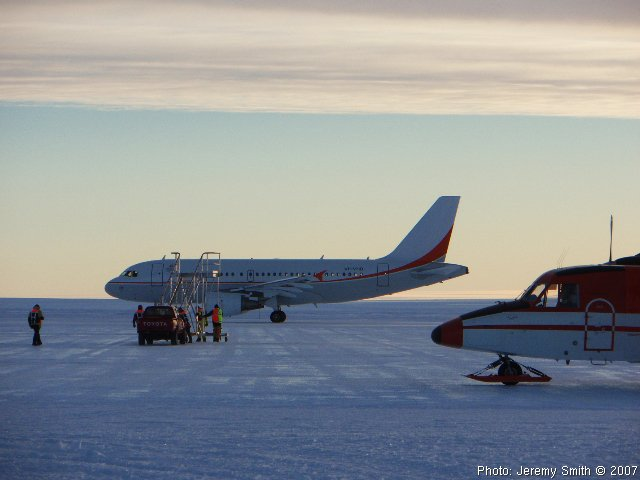 Support crew with the Airbus A319 at Wilkins Runway. 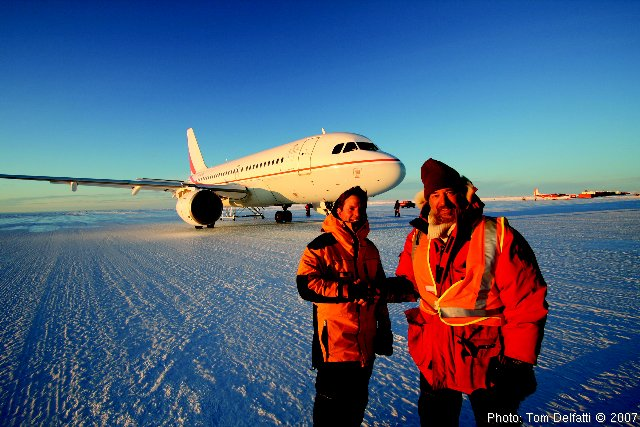 L-R, Charlton Clark, Manager – Antarctic Airlink Project and Dr Jeremy Smith, Casey Station Leader with the A319 at Wilkins Runway. Historic passenger jet flight from Australia with Government officials, scientists and media personnel landed at Antarctica on January 11.